Are you and your team tired of monotonous work schedule and increasing stress levels ? Want to let off the steam and get refreshed and rejuvenated so that you can be back to work with lot of energy and focus. ​Team Outing is where there is a mix of team building, outdoor and Fun Based activities done to engage employees and enhance Team bonding. 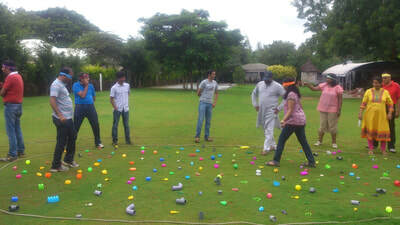 ​Team Outings are also done as part of new employee inductions, employee engagement or annual day functions. 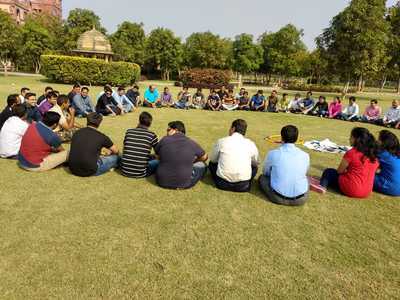 We conduct team day offsite for Corporate Teams that involve, Team Building Activities, Adventure Activities, Outdoor Activities, Outbound Activities coupled with delicious food to make it memorable experience. 2 Days Adventure outing with over night camping.